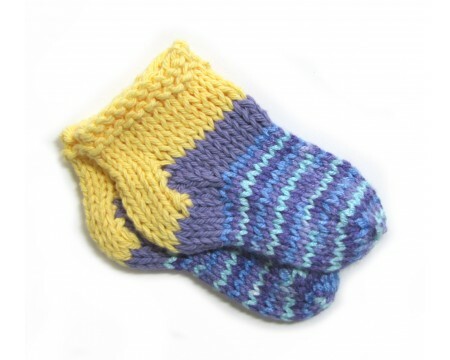 The yellowblue acrylic booties are knitted and stretchy. Perfect for a new baby. They have a knitted cuff on booties so they stay on. The booties measure 4" long in the foot and fit a 3-6 months old baby.